Holland has made it clear that he has zero tolerance for racism and homophobia. The singer took to Twitter on Saturday to denounce bigotry after several trolls attempted to slander him by using an artificial intelligence voice generator created by LionRocket. “Please don’t make racist remarks or express racism in any way using http://callmeholland.com. I am a person who believes all people are equal. I don’t want to see anyone get hurt from this,” the singer said in a tweet. Callmeholland.com is one of the AI voice generators powered by LionRocket, which reads out text in celebrities’ voices. 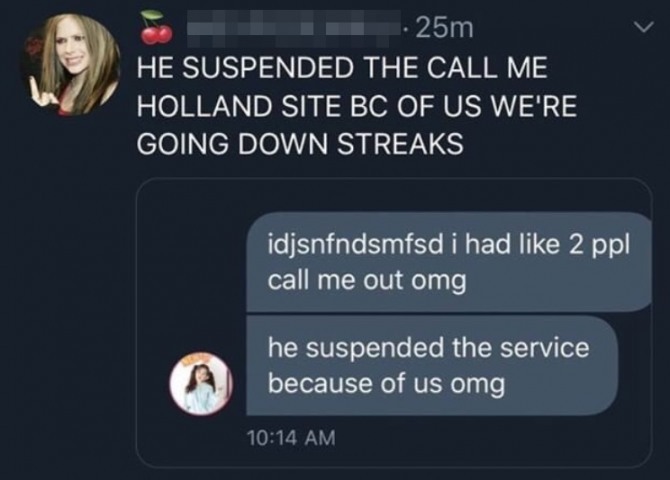 In the wake of the incident, however, the website using Holland’s voice now appears to have suspended the service. Other variations by the same company include Callmepresident.com, which reads names in South Korean President Moon Jae-in’s voice. A screenshot obtained by fans shows two Twitter accounts -- which appear to have been disabled -- talking about an attempted smear aimed at the singer. Harling is a compound word of Holland and darling, which he calls his fans. The smear attack has left many fans understandably upset but many had rushed to the singer’s defense and praised his move to call out what many saw as something plain wrong. 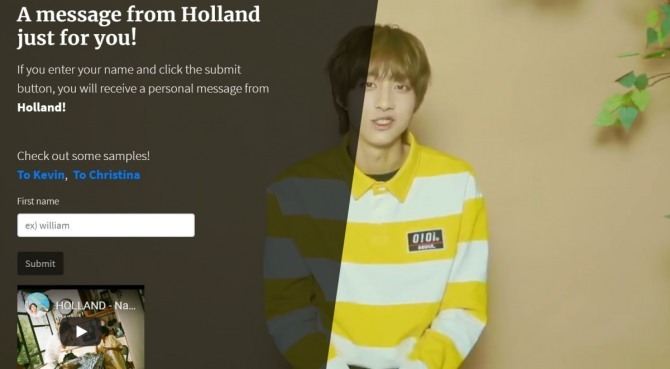 Holland recently released his first EP and unveiled the romance-tinged video for the single “Nar_C,” which was filmed in Vietnam. The singer told Kpop Herald in an interview last month that he plans to embark on a world tour this year.